In the UK, we have a tendency to underestimate the effect of war on a nation, not having been occupied by an aggressive invading force for a little while now (1066 at last count?). 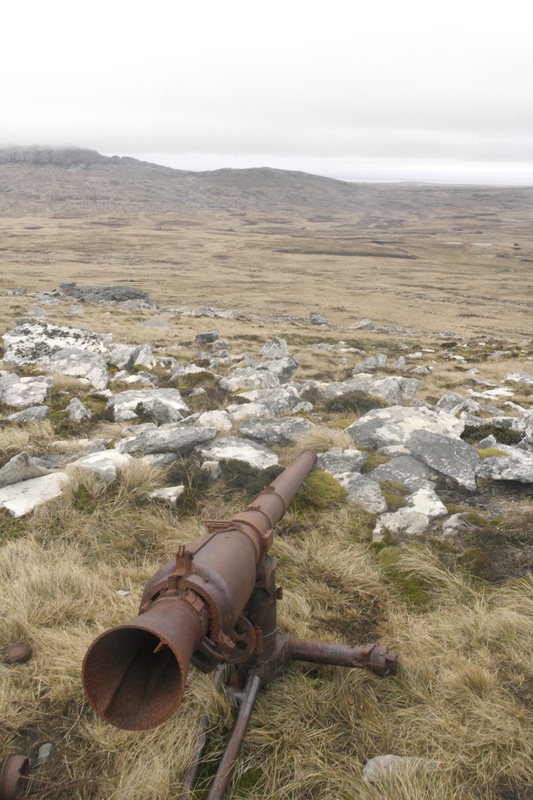 The 1982 conflict is part of what brought me here and it shows in many aspects of Falklands life. 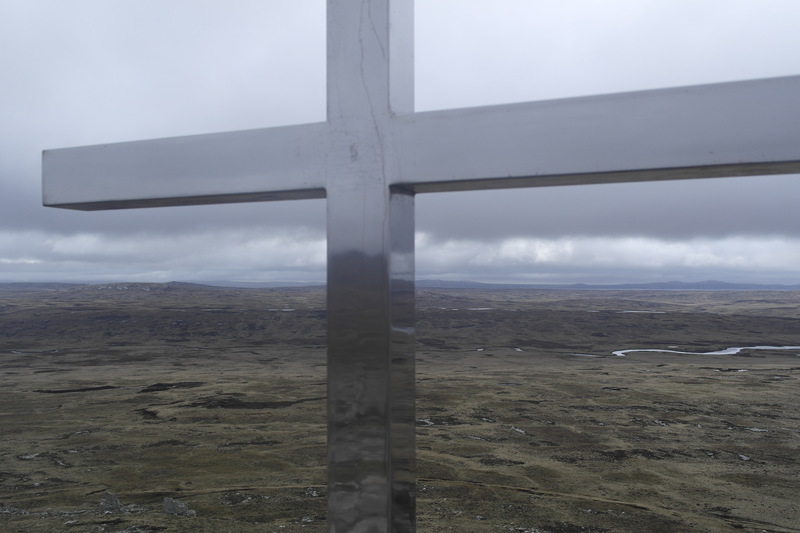 Socially, the status quo of division between Stanley and ‘Camp’ (the name given to describe the remote areas/anywhere outside of Stanley) was broken and people talk in so many ways of ‘before’ and ‘after’; perhaps the measure of a true historical milestone. Physically, the signs are still here. 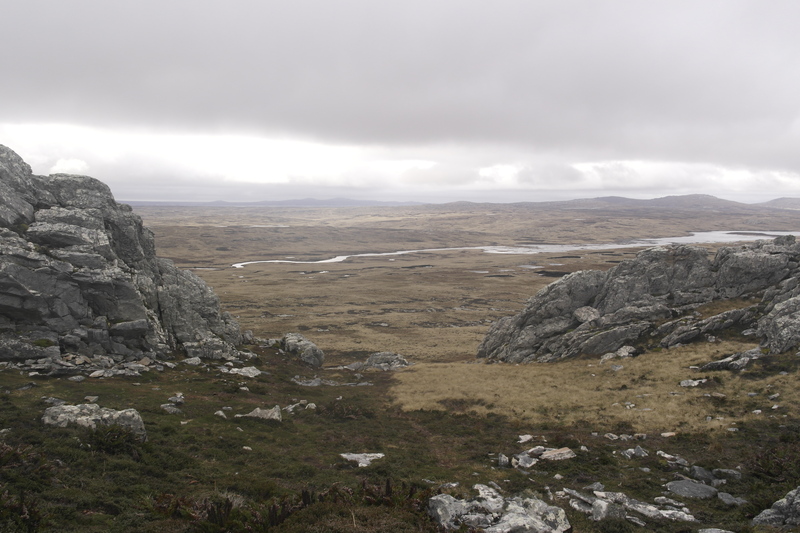 Three of the other new teachers and I took it upon ourselves to drive out and walk Wireless Ridge and Mount Londgon, Argentine positions overlooking Stanley taken by 2 and 3 Para respectively in fierce fighting. 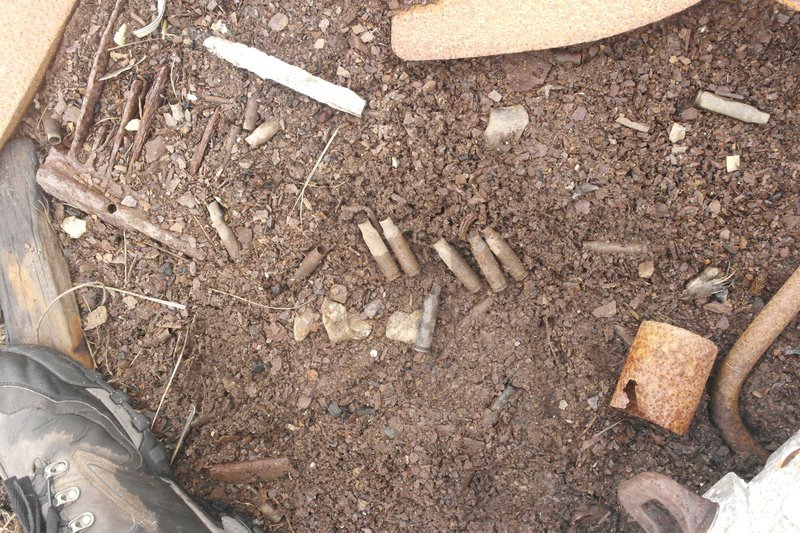 The area is undoubtedly beautiful but coming across rusted shovels, Argentine artillery pieces, (hundreds of) spent bullet cases, mess tins, Gerry cans and other rusted paraphernalia quickly remind you that this area has had other visitors. 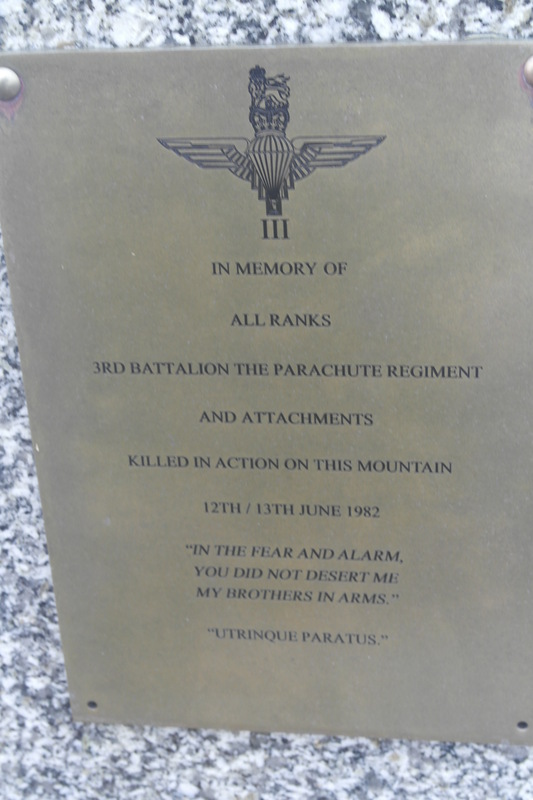 The memorials here are plentiful, and rightly so as 23 members of 3 Para died taking Mount Longdon alone (two of them just 17 years old). 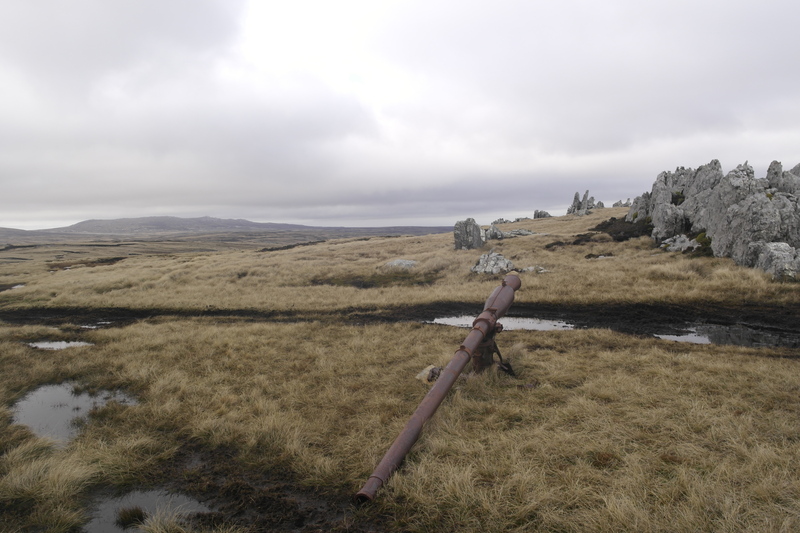 Plaques and cairns occasionally mark the very spots where individuals died and do well to bring you back to the human side of the war. 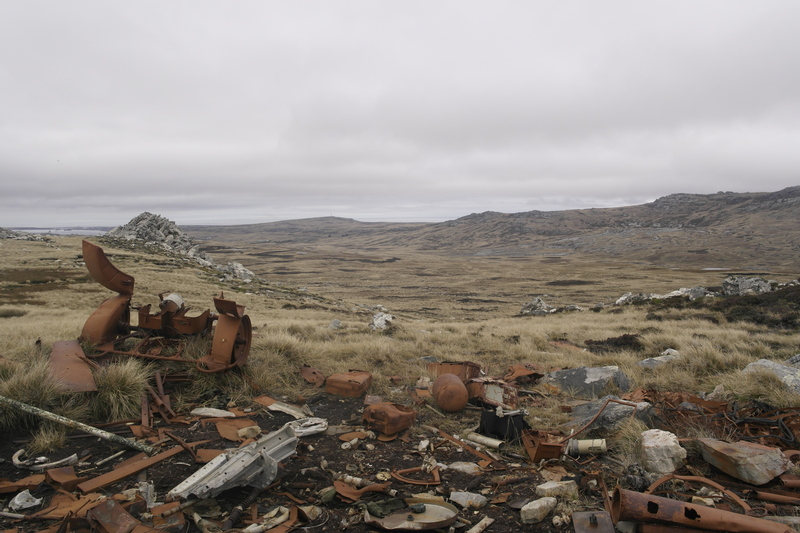 These were real people, dying on these very spots 8000 miles from home in an area containing nothing but Argentine equipment, roughly dug-in positions and a view of Stanley in the distance. It’s enough to make you question the sense of it, until the written tributes remind you of the reasons and you become quite thankful to be able to be there today (even as a non-Falkland Islander). 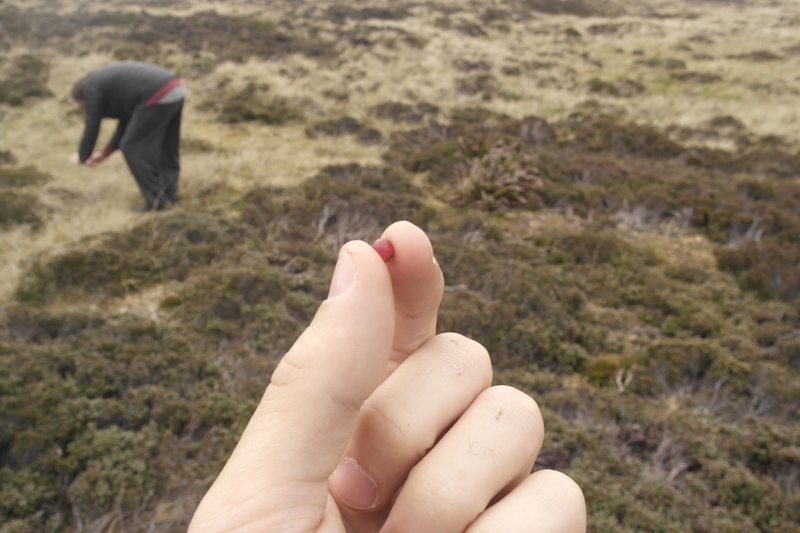 The area is Falklands through and through; one of many covered in the Falklands ‘diddle-dee’ berry – often made in to jam and much talked about by tourists. I’ve got to say, they’re horribly bitter, much like sloe berries. Also like sloes, I’ll be adding them to gin at some point for something I suspect will be pretty nice come summer. 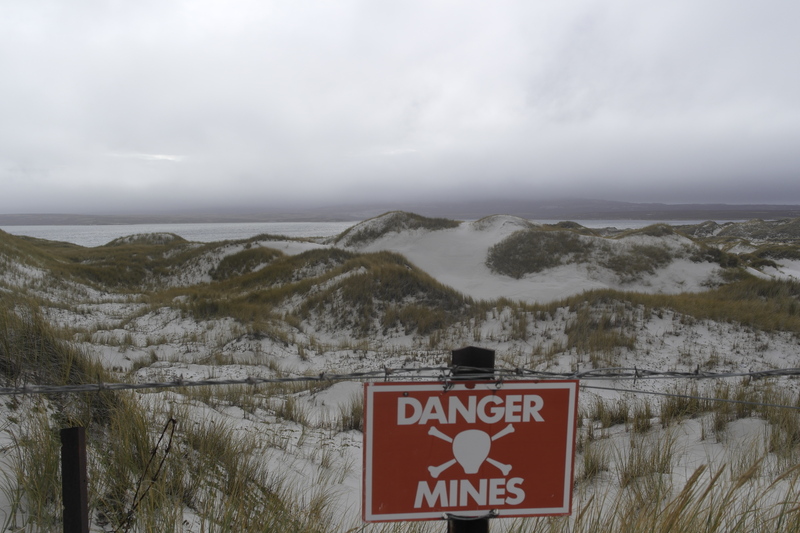 I’ve heard it said that the Falklands possess the second whitest sand in the world (I don’t know where beat it). The truly stunning beaches here are hard to believe given the temperature, but they also present a problem for any members of an illegal occupation force. Being so close to Stanley with gently sloping gradient, Yorke Bay presented the Argentines with an unfortunate decision and the result is that today you are unable to access the beach. 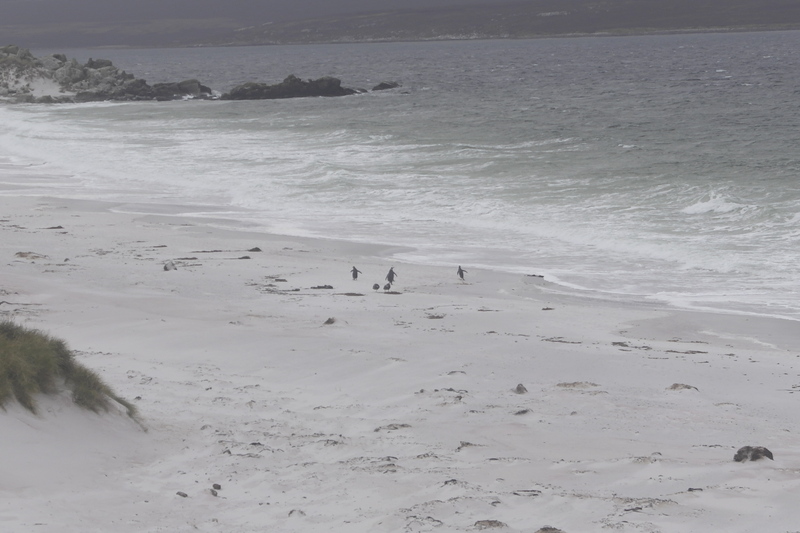 Fortunately, penguins are too light to set off the mines and thrive here so today gave us a limited but charming first encounter with the penguins, several Gentoos coming from the ocean to waddle up the beach. 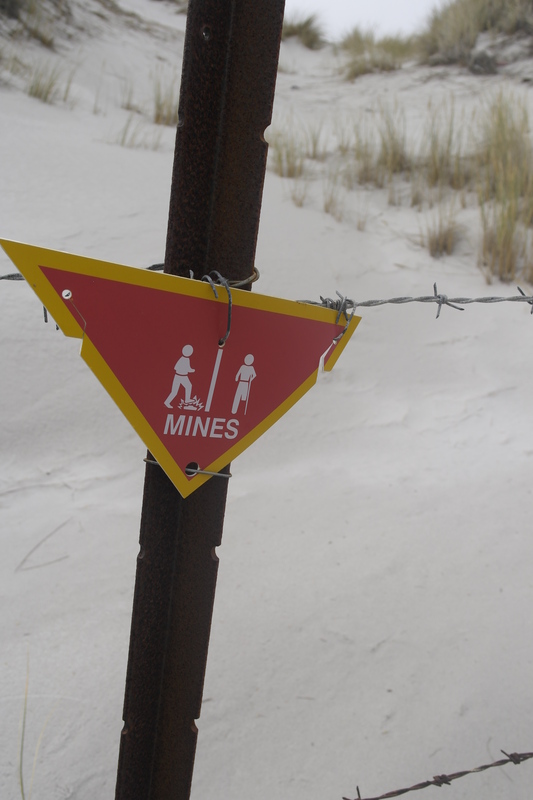 There is much written about the landmines here but in summary: they are well fenced off, cause no casualties and protect much wildlife. A blessing and a curse from 1982, but they serve as another surreal aspect to this place; it’s not every day you walk along a beauty spot and think “two feet to my left is a known minefield”. The process of getting to Stanley is a novel one; following a scenic drive from Salisbury to RAF Brize Norton in Oxfordshire (courtesy of brother Dan, cheers!) your photo is taken for your ID pass for the base and you’re given directions to the passenger terminal, where you indulge in a light game of ‘spot the civvy’ and generally try to kill the 3-4 hours before your flight actually departs. In case you begin to forget where you are, signs in the toilets instruct you not to try to carry your firearms on board, but instead to dump them in the amnesty bin. Duly noted. You’re soon(ish) taken out to a large passenger liner that would look like any other if it weren’t parked on the runway with a variety of very military vehicles all around it and been painted that distinctive shade of grey all over. 18 hours ahoy! I’ve never flown long haul before so I had no comparison but it was, I’m told, the usual interesting airplane food (here I was hoping for ration packs) and quite nice hospitality from civvy air hostesses. 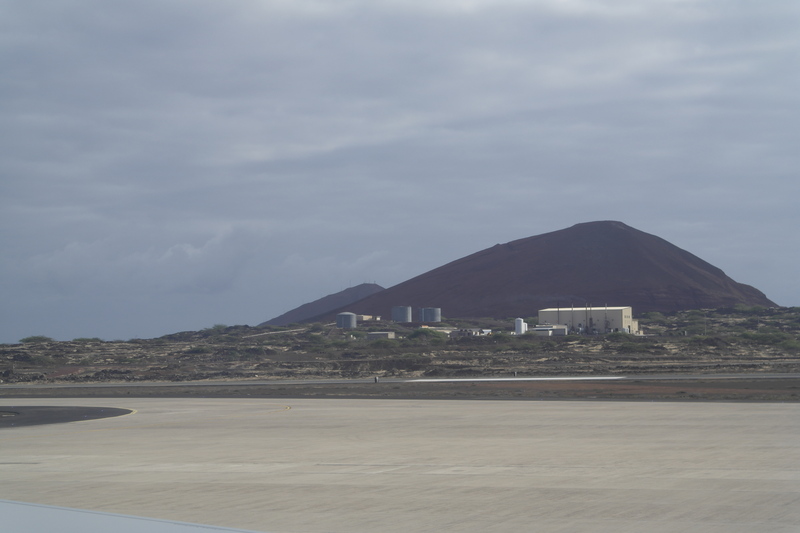 The welcome stop-over in Ascension Island lasts about 2 hours whilst you refuel. 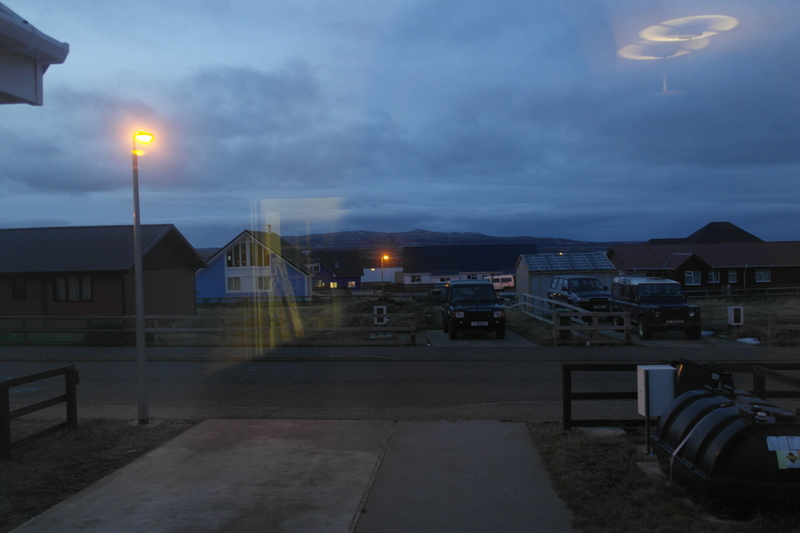 You are herded out of the plane to a small waiting room with a NAAFI shop and an outdoor enclosed pen (mooing optional, but recommended) and then head back on for the more gruelling daylight stint. Still, it’s bearable. 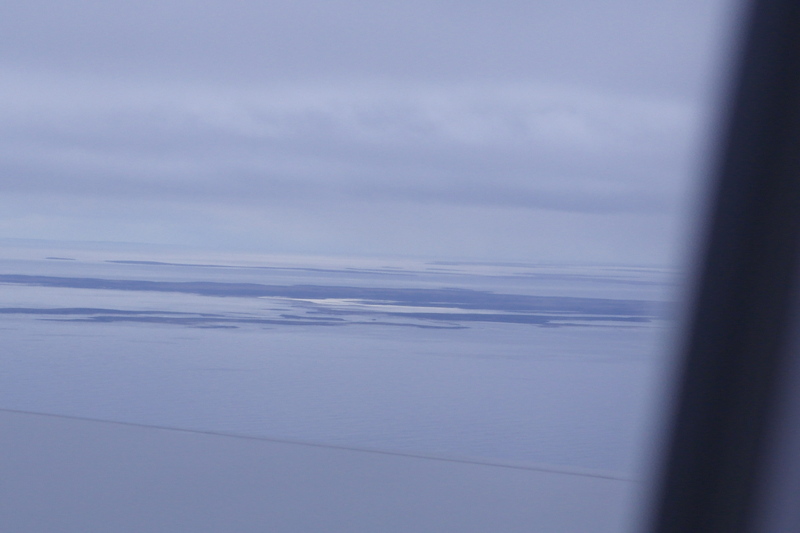 There is, quite literally, a 20° difference between getting off the plane at Ascension and disembarking at Mount Pleasant Airfield (MPA), Falkland Islands so if you ever fly it, don’t be tempted to change in to shorts at Ascension. 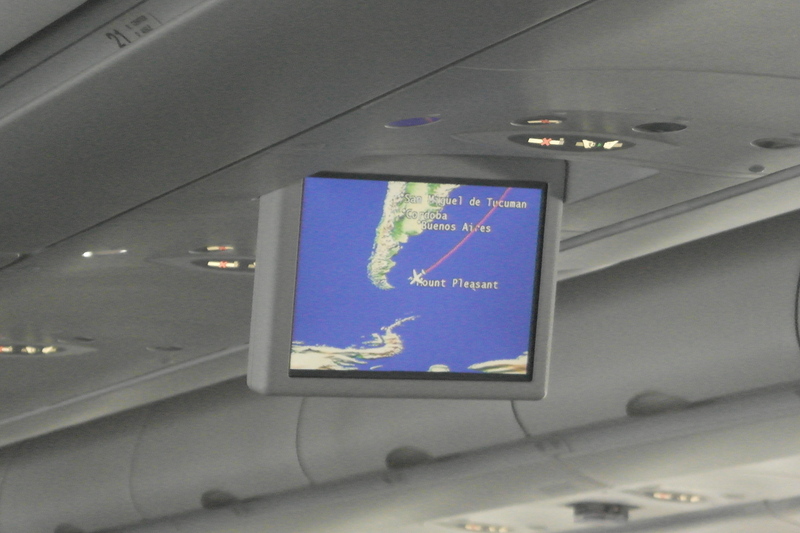 In one day, you’ve travelled 8000 miles, from 52° North to 51° South and you’re very aware of it. Alas we were reminded that no photos were to be taken at MPA so I can’t show you the first impressions but you are very aware of the military aspect. The road from Stanley to MPA has caused quite some controversy recently, it’s largely gravel and by all accounts pretty hazardous. Frequently closed, we were lucky the snow had cleared and given us a decent view of the drive back. 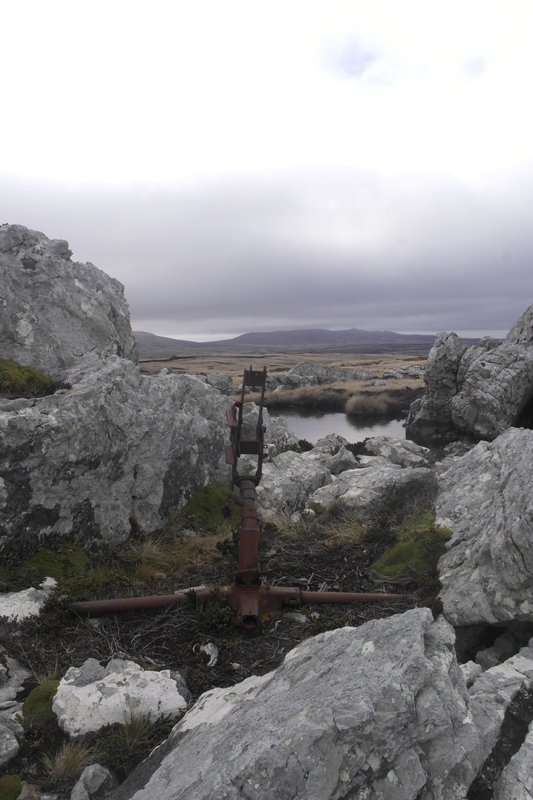 Imagine a cross between Iceland, North Wales and Dartmoor and you’ll get somewhere near to the look of the Falklands. My camera still evading me in the back of the Penguin Travel minibus, I know I lost an opportunity but I’ll get some photos soon, promise! 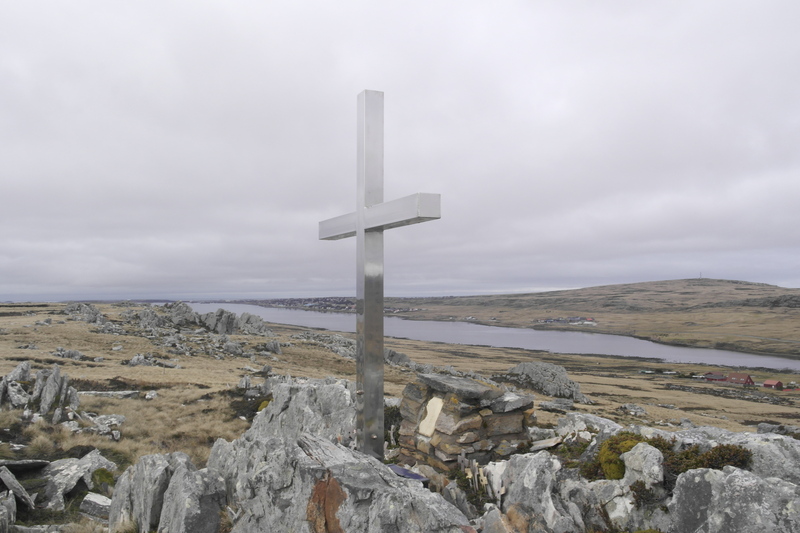 The Falklands hospitality is legendary and hasn’t disappointed since landing. The pattern seems to be that things taken for granted in the UK are just more novel here; I’ve had to sign up to a bank account that will take several days to open, can’t be accessed by a cash machine (there are none) and will make prolific use of a chequebook (without guarantee card) in my time here, my post will be forwarded to my school pigeon hole as there is no postman, signing up to the doctor and dentist at the hospital involves a friendly chat with the lady at reception who knows of my arrival due to family connections and for the first time ever, a school treated me to dinner at the restaurant (singular…). Since then, I’ve been kindly invited to dinner at a colleague’s and today the plan is for a walk to a place called Gyspy Cove (photos to follow) and a steak night at a local bar (as an aside, the difficulty of getting hold of fresh fruit and vegetables and the prolific supply of meat has led to the bizarre circumstance of a bulb of garlic costing more than a steak). Amongst all of these things to take care of, you are also attempting to take in Stanley and figure everything out. You realise how prolific the wildlife is, even now when migration has led many away from the islands, as you drive around Stanley (in the obligatory 4×4) seeing pairs of colourful wild geese everywhere on the roads and turkey vultures flying in front of the car. It’s the fact you’re the only one that thinks anything of it that reminds you what an amazing place this is going to be to live.othe roads and turkey vultures flying in front of the car. It’s the fact you’re the only one that thinks anything of it that reminds you what an amazing place this is going to be to live.